Ordering | Walters Gardens, Inc.
Wholesale orders may be booked directly with Walters Gardens, Inc., through one of our sales representatives or brokers, or placed online. 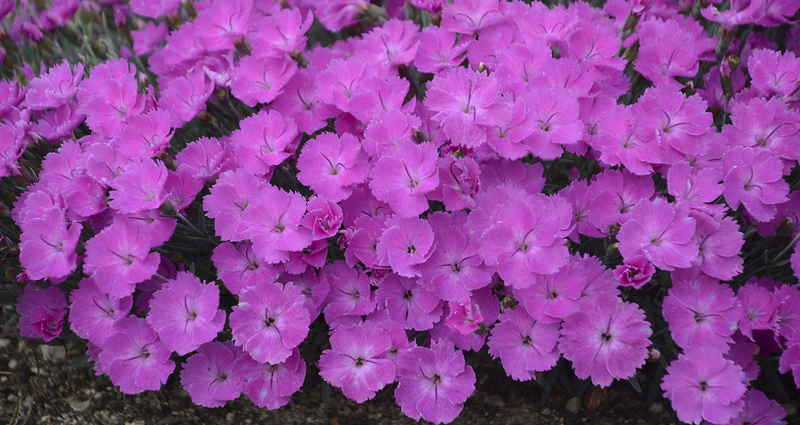 We would be happy to work with you directly on your wholesale perennial order. Our knowledgeable and courteous customer care staff can be contacted by the following methods. Current customers who order direct or through a sales representative can take advantage of our online ordering system. Customers will need to have a login and password on our website AND have their credit application and sales tax forms on file with us. You cannot place an order on our site unless you are signed in. Online ordering is available to all customers except those who order through a broker. For more information on online ordering, visit our Online Ordering page. Walters Gardens products are represented by a number of sales representatives and horticultural brokers across the US and Canada. Feel free to contact one of the following people to answer your questions or to place an order. There is no dollar minimum. Please order plants in the multiples specified on our price list for each variety. We strongly suggest ordering early due to high demand, especially of new items. Email: Contact our customer care department to sign up for this free service by e-mailing them at sales@waltersgardens.com. Fax: Please give us a call if you would like an updated availability and we will be happy to fax you a copy: 1-888-925-8377. Web: View a current availability on our website. If necessary, we do make substitutions with a similar variety or grade size. Please specify on your order form if you do not want us to substitute. Changes to your order may be made up to ten business days prior to your requested ship date. In order to ensure accuracy, we prefer to receive any changes in writing via fax or e-mail, but we will also gladly accept changes by phone. Please have your order number ready when you call. 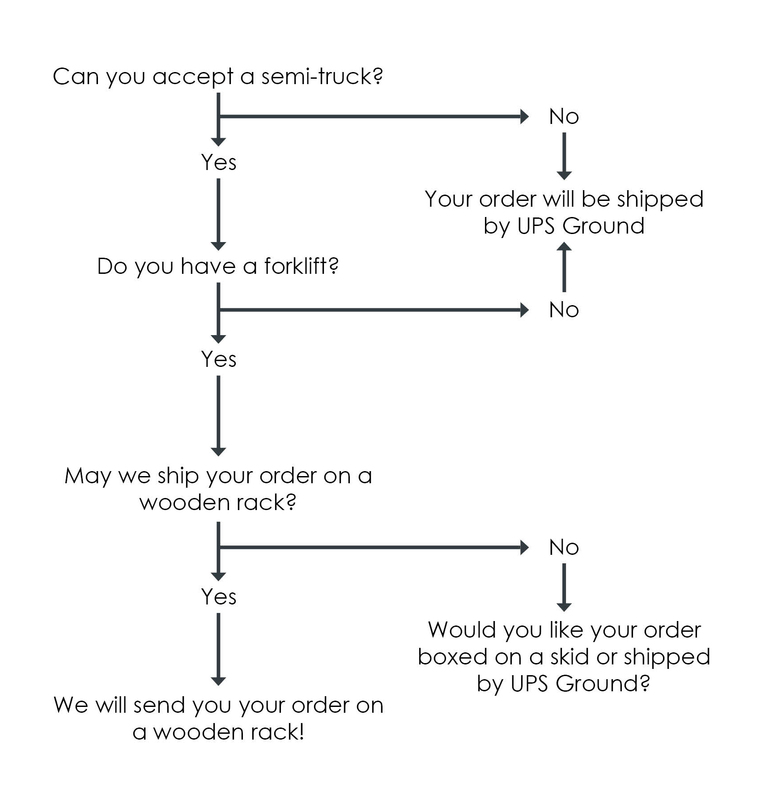 We do our best to ship your order as complete as possible. However, if an item is not ready on your requested ship date, it will be shipped when it is ready unless you instruct us not to backorder. Note: Prices are not included on the forms below. To view forms with prices, please login in the top right corner of this page and visit the corresponding page in your user portal. If you would like an availability with prices and are not a current customer, please contact us. Sign in to view order forms with prices. The more you buy, the more you save with our simplified volume pricing system. Your volume discount will be based on your total gross purchases last year or your new gross purchases this year, whichever is greater. New customers' discounts will be based on their first order. If you place more than one order with us during the year, your order totals will be combined and your new discount level will be reflected on your future orders. Volume discounts may be combined with other promotional offers such as our Summer Selections, Early Summer Stock Up or Early Order Discount. Variety license fees, marketing fees, freight, and net quoted prices do not qualify for any discounts. Your discount will be factored into each line item on your order. Save 2% on your order of $5,000 or more when you place your order by October 1st. Your order must be shipped between early November and mid-May to qualify for the early order discount. See catalog for exact dates. Only items ordered by the October 1st deadline will receive the 2% early order discount. Early order discount will be taken in addition to your volume pricing discount. Early order discount may not be combined with Early Summer Stock Up or Summer Selections discounts. 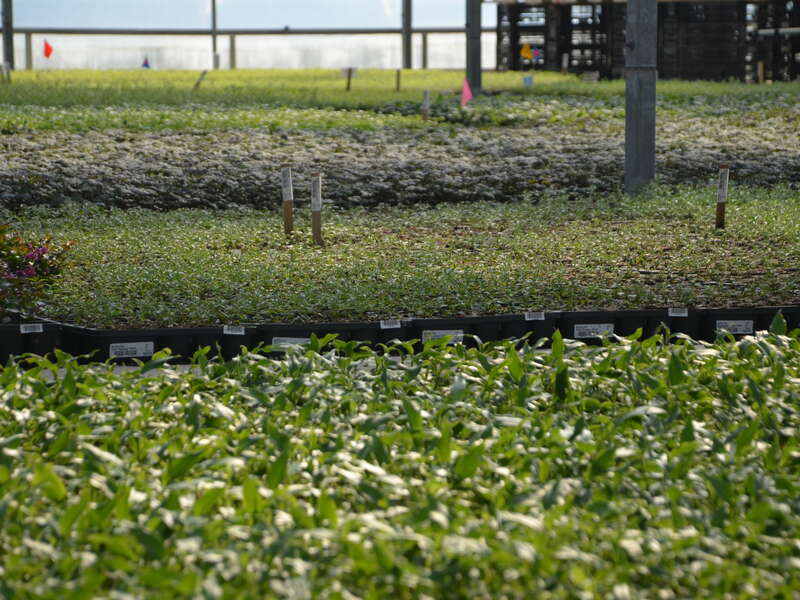 Only the plants are eligible for the early order discount. Variety license fees, marketing fees, Proven Winners containers, labels, freight, and net quoted prices do not qualify for the early order discount. Our catalog prices are the base prices from which all discounts will be calculated. When you place an online order, the prices you see reflect your volume discount (if applicable). Variety license fees, marketing fees, and container prices are listed separately. There is no additional charge for packing or handling. Only the plants are eligible for the volume discount. Variety license fees, marketing fees, freight, and net quoted prices do not qualify for any discounts. Your discount will be factored into each line item on your order. For your convenience, a price list is posted in the Login portion of this website (login to view) and in the back of our catalog. Net 30 days on approved accounts. We reserve the right to extend terms and change these terms if necessary. All accounts will be cash in advance or credit card until credit is approved and terms are established. We accept Visa, Mastercard, Discover, and American Express. To establish credit with Walters Gardens, Inc., click here to access the online forms or see the credit application in the back of our catalog. We require all customers to complete and return a Sales Tax Exemption Form prior to the first shipment of product. Click here to access this form online or see the back of our catalog. A finance charge of 2% per month is charged to past due accounts. An insufficient funds fee of $35 will be charged for all returned checks. Sorry, we do not accept COD orders. All orders are shipped FOB Zeeland, Michigan. We do not charge extra for packing or boxing your order. We reserve the right to suspend credit and delay or cancel any shipments if your account is not maintained in good standing by paying within your pre-approved terms. We reserve the right to change the terms of any account, at any time, for any reason. When you place your order, please indicate if you are able to accept shipments on a semi-truck or if you can only accept UPS shipments. If there are questions about an order and the customer cannot be reached, the default shipping method for all domestic orders will be UPS Ground. A Note about Shipping Canadian Orders: We do not ship UPS or FedEx into Canada. All Canadian orders are shipped boxed on a skid or on wooden racks. Your salesperson, broker, or our customer care team will be happy to assist you with your order. Walters Gardens, Inc. exports only to Canada. A minimum order of $1,500.00, payable in U.S. funds, is required. There is a $75.00 fee per order for the phytosanitary certificate and export preparation. Contact our customer care department for a list of restricted items and items which require an import permit. If an import permit is required, you must fax a copy to our office at least four weeks prior to your ship date. A customs broker must be designated, including the broker's phone and fax numbers, address, and contact person to allow for proper tracking of all orders. Should your order be held at any border for any reason, Walters Gardens, Inc. will no be responsible for any damages incurred. If you request a phone call from the trucking company on the day of delivery, you may be charged an additional fee. If the truck arrives at your location and there is no one there to accept delivery, you will incur a charge from the trucking company for redirecting your shipment. Lift gates are available on all trucks for an additional fee if requested in advance. When you receive your wooden rack or skid shipment, you will find your packing slip attached at eye level so you're sure not to miss it. The white packing slip will be enclosed in a clear envelope and tucked inside the plastic outer wrap. Our contact information and your order number (W number) are clearly marked in bold on your packing slip for quick reference in case there are any issues with your shipment. Quantities ordered and shipped are clearly printed on the slip along with any plants that are back ordered or marked out. A handy page of tips on transplanting perennials is also included with your packing slip. If you have any questions or concerns about these shipping procedures, please contact your sales representative, broker, or Walters Gardens, Inc. customer care team and we will be happy to assist you. If you have any concerns about your shipment when it arrives, be sure to note any damages on the shipping documents when you sign. Digital photos of the damages are needed for us to process your claim. Please notify us immediately of any issues so that we may render any possible assistance. After notifying us of any problems with your order, you have up to three months from the date of receipt to file a claim for credit on unsatisfactory plants. Late claims made after three months may be respectfully declined. Exception: Any plants that are not true-to-name once mature will be credited or replaced, regardless of when the claim was filed. Please allow 2-3 weeks for processing your claim. If items being replaced are no longer available, substitutions may be made with items of similar value. You will not be charged freight on replacement orders. If only a small number of plants is being claimed, a credit will be issued instead of replacements. If your product arrives damaged, note the damage on the shipping documents, snap a few digital photos of the damage, and notify us immediately. Also notify us immediately of any shortages or delays on your order so that we may render assistance. We will do our best to correct the problem. If an order is cancelled after it has been prepared for shipment or if an order is shipped and returned, a minimum restocking fee of 15% will be charged including any shipping charges and the cost of any plants that cannot be restocked. You will not be charged for any error on our part. Returns will not be accepted without prior authorization. If you have any questions or concerns that involve claims or returns, please contact your sales representative or broker. If you placed your order directly with Walters Gardens, Inc., please contact Janet DeVries, at 1-800-925-8377 ext. 1206 or jld@waltersgardens.com.